For the first time since the Army opened its special operations jobs to women in 2016, a female soldier has completed the initial Special Forces Assessment and Selection process, a spokesman for Army Special Operations Command has confirmed to Army Times. Several women have attempted the 24-day program, part of the Special Forces Qualification Course, since then, but none have made it to the next round. “Recently, a female successfully completed Special Forces Assessment and Selection and was selected to attend the Special Forces Qualification Course," Lt. Col. Loren Bymer told Army Times. ”We’re proud of all the candidates who attended and were selected to continue into the qualification course in hopes of earning their Green Beret." USASOC declined to provide the soldier’s rank or her current military occupational specialty. “It is our policy to not release the names of our service members because Special Forces soldiers perform discreet missions upon graduation,” Bymer said. In general, Special Forces candidates take a break from training after SFAS before moving on to the next step of the Q course. Captains might attend their designated career course, while specialists would attend the Basic Leader Course, in anticipation of a promotion to sergeant upon completing qualification. The Special Operations Recruiting Battalion is looking to fill thousands of jobs in Special Forces, special ops aviation, civil affairs and psychological operations. The Q course consists of four phases and lasts about a year at least, but can take almost two years depending on a soldier’s specialty and assigned foreign language. The Green Berets are one of the last Army communities not to have female soldiers assigned. 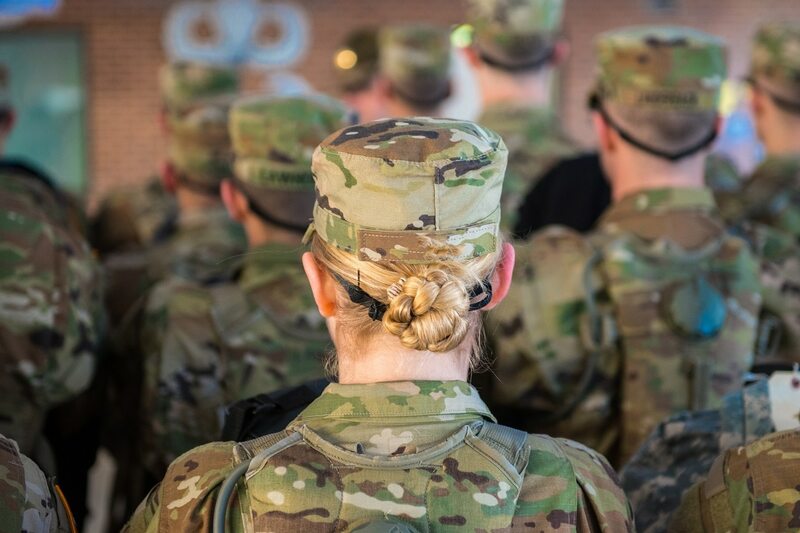 Since the combat exemption lifted, hundreds of women have joined the infantry community, several have been assigned to the 75th Ranger Regiment, and more than a dozen have earned the Ranger tab.